This is part two of our profile on The Tree House with Sayf Hassan of Symmetry Developments and Sasa Radulovic of 5468796 Architecture. If you’re just tuning in now, click here to go back and read part one. The Tree House is Sasa Radulovic’s opportunity to introduce his Winnipeg-based firm, 5468796 Architecture, to the booming Toronto housing market. Radulovic founded 5468796 in 2007 with colleague and former University of Manitoba classmate, Johanna Hurme. The two had been working together at a larger firm and had grown tired of their boss telling them they couldn’t discuss concepts or design qualities with clients. With a metro population of only 730,000, Winnipeg is known to be a relatively conservative place when it comes to architecture. It’s not a place where you would expect to find daring designs like the one developed by the firm for 62M in the city’s downtown core. That being said, Radulovic is excited to bring his firm’s daring aesthetic to Toronto, where it will still stand apart from the pack in the country’s largest city and busiest new construction market. Sayf Hassan, principal of Symmetry Developments, is just as excited to have 5468796 arrive on the Toronto scene. A testament to the truly modern thinking of both companies, the seeds of the fruitful relationship between the developer and the architect were sown on Twitter. After their first meeting in Toronto in 2013, it took some time for Symmetry and 5468796 to identify an opportunity to work together. But ever since Hassan invited Radulovic to develop concepts for the Tree House site, both men say that they haven’t disagreed on a single thing since they started working together. 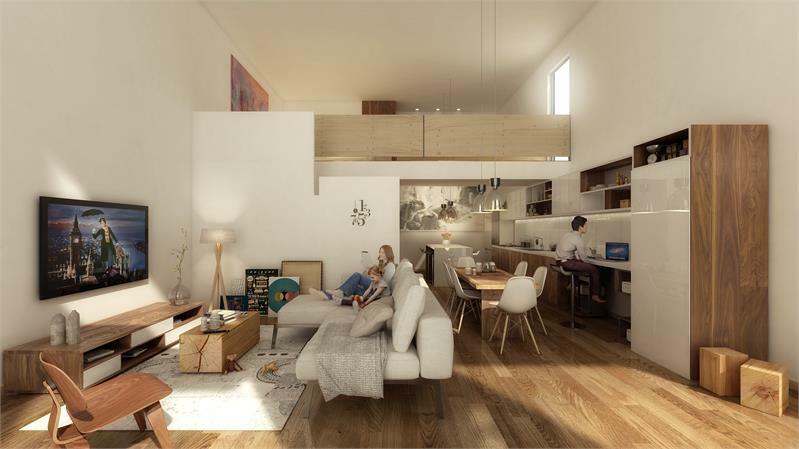 Interest in the new stacked townhouse development has already been strong well-ahead of its anticipated launch date in late March. A collaboration with Engine Developments and Fortress Real Developments, Symmetry’s The Tree House is located on Gerrard Street in the east end Toronto neighbourhood of Birchcliff. Once complete, the development will consist of 39 high design stacked towns boasting large two- and three-bedroom layouts. 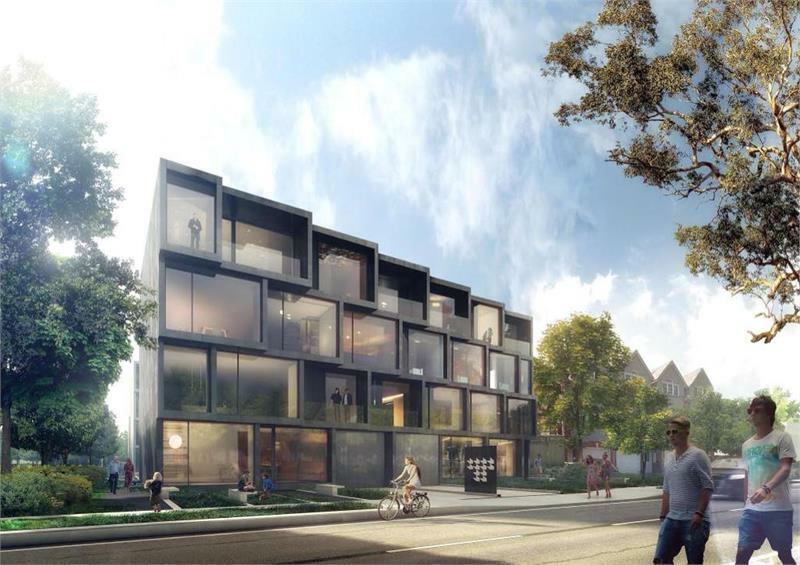 As Hassan and Radulovic made clear in part one of our interview, Tree House will be unlike any low-rise project Toronto has seen for quite some time. 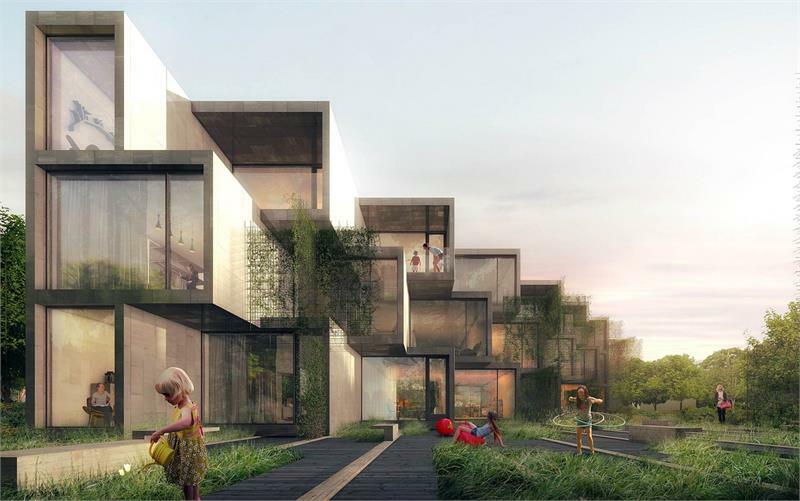 The conceptual side of Tree House is underpinned by the idea that those designing a residential development should lay the groundwork for future residents to feel like they’re part of a community. According to Hassan, low-rise development in Toronto has done a poor job of fostering that sense of community among residents and one of his primary objectives with Tree House is to change that. There is clearly an appetite for this type of thinking as well as the imaginative way it will manifest on the site of Tree House. At the time of our interview with Hassan and Radulovic, registrations for The Tree House had already surpassed 400 without any major promotional efforts. Momentum is expected to continue to strengthen right through to the March launch and, in the meantime, it is full steam ahead with planning and site prep for Hassan and his team. A showroom with a mock-up suite designed by DK Studios is being constructed on the site ahead of the opening. Hassan described the suite as a combination of a vignette and a model. “It’s a representation of the ground floor of a typical unit just to give buyers a sense of space planning, volume and finishes on offer,” he said. When asked if he’ll be in town for the Tree House launch, Radulovic said he wouldn’t miss it. After all, the community will be his firm’s first in Toronto, but certainly not its last. Make sure you register for The Tree House to ahead of the launch later this year! For more information call 647 560 4454.